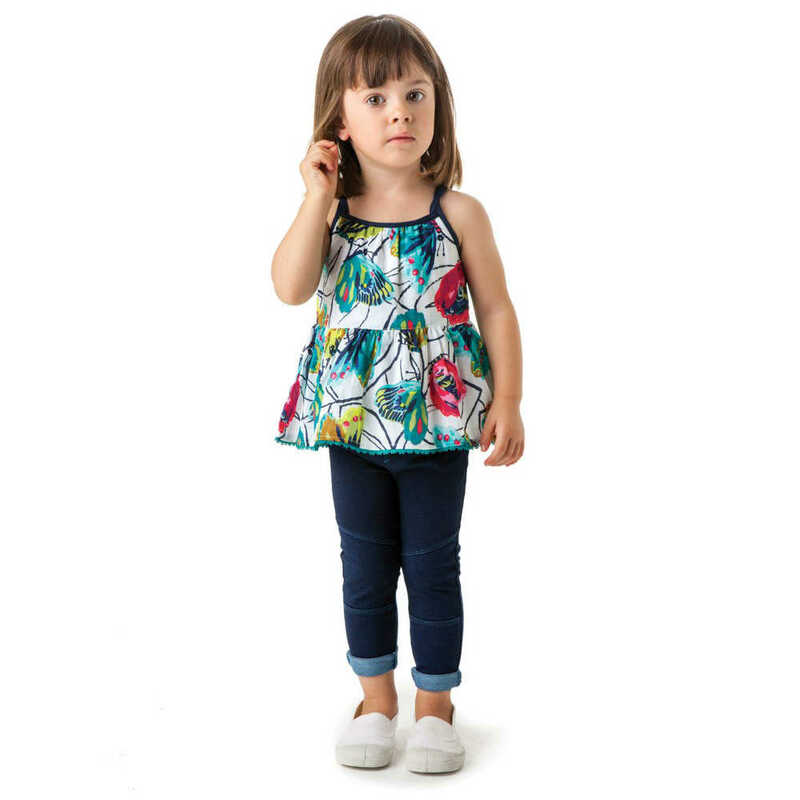 How adorable is this Catimini girls butterfly print peplum top with spaghetti straps. This sweet design has an all-over abstract butterfly print in bright jewel colours and is trimmed with a fine lace detail. The top is lined with a white soft cotton and there is a concealed zip at the back for ease of dressing. Each pattern is unique depending on the cut of the fabric. Complete the look with a pair of denim jeans and white sneakers. Adorable Summer Look for girls by famous French Kids Fashion House. Ships Worldwide.